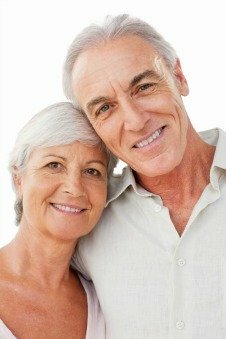 Regenerative Medicine - The Future Treatment for Macular Degeneration? Cellular Dynamics International was the recipient of a 1.2 million contract from the National Eye Institute this October, 2014. The Madison, WI based company is known for their work in regenerative medicine. The contract was given to Cellular Dynamics (CDI) to make stem cells and retinal cells for federal researchers to use to develop treatments for dry macular degeneration. The company was co-founded in 2004 by University of Wisconsin-Madison biologist James Thompson, who also serves as their Chief Scientific Officer. Time Magazine has listed his research three different times in their "Top 10 Discoveries of the Year" and has named him "America's Best in Science and Medicine" in 2001. CDI explains that, "iPS cells have the potential to differentiate into any of the 200+ cell types in the human body." 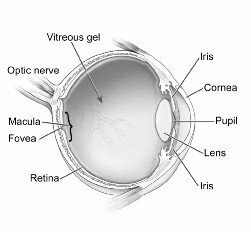 In this case, the skin cells, now embryonic stem cells or iPS, are reprogrammed to become retinal pigment epithelial cells. The $1.2 million contract from the National Eye Institute, October 27, 2014, is for the purpose of engineering cells for the potential treatment of macular degeneration. The Eye Institute which is part of the National Institutes of Health, will send blood and tissue from 10 patients with age-related macular degeneration. According to the CDI Website, "Cellular Dynamics will convert the blood or tissue into stem cells, then program them to become new retinal cells of the type damaged in macular degeneration. Ultimately, the goal — still several years away — is to transplant the reprogrammed cells back into the original patients to treat the condition." If the preliminary research makes it to human testing, CDI believes "it would be the first U.S. Phase 1 clinical trial using patients’ own cells that have been coaxed into an embryonic-like state and then into a specific tissue type (in this case, retinal tissue). 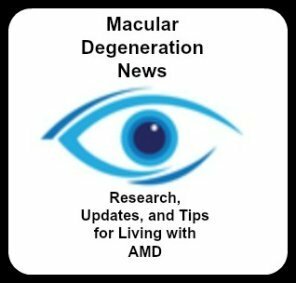 And if those trials lead to an approved product—which, of course, will likely take years and lots more money—it would mark the first cell transplant treatment for dry age-related macular degeneration." The skin and blood samples are taken from patients who have age related macular degeneration. The blood sample requires only a small amount of blood. From these cells, CDI will make human retinal pigment epithelial (RPE) cells. The RPE cells will be provided to NEI researchers who will will then transplant the clinical-grade retinal tissue to the back of the eye behind the retina into AMD patients. Because the cells are from the patients who will be receiving the transplant, the transplanted RPE would be a genetic match which lowers the risk of rejection and increases the possibility that the body will accept the cells. According to CDI, researchers at the Eye Institute blood and skin samples have already been taken cells from two patients and will be taken from a third patient in the next week or so. Before any RPE tissue is transplanted into human eyes, studies will first begin in rats who have been given a type of macular degeneration. If those studies prove safe, then the next phase is to transplant the cells into pigs who have AMD. Depending on the positive results of those studies, the research team will apply for a Phase 1 human clinical trial with 10 patients. The earliest that the human trials would start is 2017 and the company's aim is to begin transplantation in 2018 in each of the original 10 patients. CDI explains that patients would receive "retinal cells programmed from his or her own blood or tissue." This would be the first study in the US using a patient's own reprogrammed cells to treat AMD.